The core of the motor insurance business, which is accident risk, is clearly at risk. Motor Insurance 2.0, a joint report by The Boston Consulting Group and Morgan Stanley, written in 2016, predicts that by 2040, motor insurance could decline by as much as 80% in mature markets. 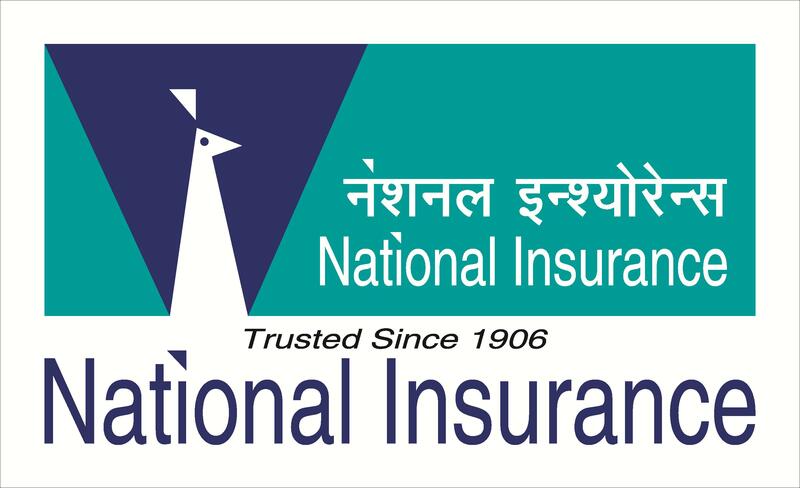 The total net profit of Indian non-life insurance industry dropped to Rs 3,238 crore as against Rs 4,639 crore in 2014-15. The motor business is a large part of the overall premium. Considering the mounting losses, insurers have realised that since the third-party segment does not help in making money, it is imperative to grow the other lines of business. The idea is to have a more holistic presence. Few insurers took a call of not pursuing motor business where they could not make money. The motor business sector, on an aggregate, grew 14 per cent, but some private insurance companies grew only two per cent. They believe this decision will help them improve their combined ratio and bottom line in the long run. It will give them an opportunity to grow the other parts of the book and eventually, their ability to really put capital to new lines of business can only happen when they take out some bit of capital from the high loss ratio products. To promote insurance penetration among automobile users, the Insurance Regulatory & Development Authority is easing its rules. It has allowed longer tenure policies -these include a three-year policy for two wheelers as well as third-party insurance. 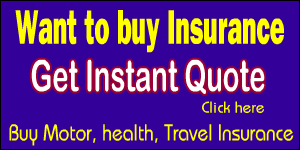 Long term products for car insurance are also in the works. 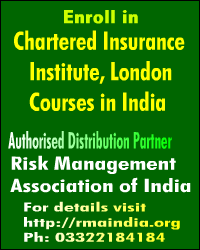 Insurance companies have suggested to the government that third party liability should be limited to Rs 10 lakh. So far, liability for motor vehicles is unlimited while it is capped at Rs 5 lakh for aircraft and Rs 2 lakh for railways. Losses in the motor insurance segment is all set to come down with the Motor Vehicles (Amendment) Bill putting a cap on the amount that can be claimed in case of an accident at Rs 10 lakh. Insurance companies are of the view that heavy losses in the general insurance space are primarily due to claims and interest paid on claims for third-party motor. Luckily for Indian motor insurers, the prospect of driverless cars is some time away and market growth is also not a concern. Yet, technology advancements, the increasingly connected world and the ability to collect and process data is transforming the Indian motor insurance industry. Customer experience is about to improve drastically across sales, service, renewals and claims along with increased breadth of products. The market for motor insurance will be changing radically in the coming years – four mega trends will develop simultaneously and leave a lasting impact on the market: aggregators and digitalisation, new offers from car manufacturers, advances in automotive technology and, last but not least, mobility services of the future. Motor insurance is facing a paradigm shift, and the products, sales structures and organisation of companies will look considerably different in 2030 than today. Each of these four mega trends has the potential to fundamentally change the motor insurance business. It is imperative that insurers who have not yet specialised in direct and partner businesses such as with automotive manufacturers, banks, other retail companies, etc. realign their sales operations. But the product and service units of insurers are also facing drastic changes, particularly in regards to product development, administration and claims – highly automated processes maximising cost efficiency are a must, with the best direct insurers setting the benchmarks. The sooner this inevitable restructuring begins, the better it will be for employees and the companies concerned. Currently, Bajaj Allianz General Insurance has nearly 6,000 vehicles of its policyholders fitted out with tele-matics devices — which track vehicle location, driving pattern, provide geo-fencing, engine/battery health indicators, towing services and alert emergency services in case of accidents. While currently the related policy sold is for cars, the company can adapt the product for light and heavy commercial vehicles too. Most insurance companies are promoted by large establishments yet growth capital needs to be funded by external sources to maintain the solvency ratio as internal funding may fall short given modest underwriting performance. Motor TP is a regulated segment where there is an annual increase in premiums for the vehicles. While motor TP is compulsory and all vehicles plying on Indian roads have to take a third party insurance cover, motor own damage cover is optional. The rise in premium in the past few years has not been commensurate with the losses that have been reported in this segment. Even the combined ratios are far above 100%. Combined ratio refers to the ratio of losses and expenses compared to the premium income in a particular segment. Anything above 100% refers to the fact that the insurer is not making underwriting profits in that segment. The rates have been arrived on actuarial basis after factoring in the necessary assumptions. These rates have been compared with the rates that were published during the last few years. Based on the IRDAI’s past experience in determining the pricing, the data sets used and also looking into those segments where the actuarial pricing is quite high in comparison to previous year’s pricing due to apparently volatile loss ratios, the IRDAI has smoothened the rates up suitably. IRDAI data shows that there was some respite for insurers in the motor insurance category. An increase in third party motor insurance premium tariff helped non-life insurers limit their loss ratio in motor insurance segment to some extent last fiscal. In result thereof, the insurance regulator reduced premium rates of motor compulsory third party liability (CTPL) insurance for some categories of vehicles for 2017-18, less than three weeks after raising them by up to 40%. This cuts means that premiums will fall by 8.5% from the tariffs that came into effect on 1 April, the start of the new fiscal year. The new changes apply to private cars exceeding 1,000 cc and 1,500 cc, agricultural tractors, special types of vehicles and two-wheelers. More significantly, the latest revised rates mean reduced tariffs for most public goods-carrying vehicles (other than three-wheelers), as well as for private goods-carrying vehicles of over 40,000 kg in capacity. As per the Motor Vehicles Act, there is no limit on the liability of vehicle owners. Due to this, an increase in claim awards by courts is seen every year. The commercial vehicle segment has been a concern in the motor segment, owing to which insurers sought steep rises of 55-65% in overall TP premiums. For own damages, no matter how big the loss is, the maximum that insurer is liable to pay is the IDV of vehicle as specified in the policy subject to deductibles. The IDV is the current market value of the insured vehicle on the basis of manufacturer’s listed selling price of the brand and model. It is provided by the insurer in case of theft or total loss of vehicle. A vehicle is considered to be a total loss, where the aggregate cost of retrieval and /or repair of the vehicle subject terms and conditions of the policy exceed 75% of the IDV. However, even in case of total loss, where one get full IDV, the settlement amount is often much less than what is actually paid for the vehicle. Thus, what is got from your insurer in case of theft/total loss in a standard policy is well below the cost of buying a new car of the same or similar make and model again. Adding an Invoice Cover to the standard policy makes the insured eligible for reimbursement of the full original amount paid for the vehicle. However, this cover is usually available only up to two years from the date of registration of the vehicle. This cover only makes sense when the vehicle is brand new. There are limitations on third party claims too. While there is no limit on the liability covered for injury or death, the cover for third-party property damage is capped at Rs 7.5 lakh. When Uber tested driverless cars in Pittsburgh in August 2016, it was a technological marvel that enthralled people and caused concern at the same time. Insurers are already planning ahead for the implications of this development on the insurance business. In addition, the impact of anti-collision technology powered by the Internet of things (IoT) has got insurers concerned. 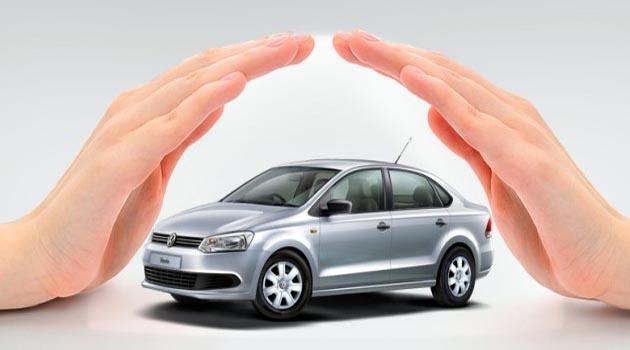 Motor insurance is the largest segment of business for the general insurance companies. Here, due to the unlimited liability for third-party motor, there is an annual increase of almost 20-25 percent in the claim payouts by the insurance companies. In the future, however, motor insurance will be a key talking point when the car salesperson is making her pitch. She will explain how the insurance price is optimized based on the safety features on board the car and how the car electronics interface with the automatic claim notification process in case of an accident. The general insurance segment is also considering linking motor pricing to individual behaviour, as well as the location of the vehicle. For instance, if a vehicle is chauffeur-driven and runs within a small city, or if it is driven by a woman, the premiums might be lower. For vehicles driven in hilly areas or difficult terrain, the premium might be higher. Liberalisation in the form of opening up the market to private-sector players has also boosted insurance industry growth. From just four public sector general insurance companies, and a holding company in 2000, the liberalised Indian insurance sector today has 30 non-life insurance companies and two reinsurers. In addition, five branches of overseas reinsurers commenced operations in India earlier this year. IRDAI has cleared the second stage applications of Munich Re, Hannover Re, Swiss Re, SCOR and Reinsurance Group of America (RGA). Also, reinsurer XL Catlin has been given the first round of regulatory approval R1. Lloyd’s of London are also opening their office soon. Motor insurance is generally regarded as something central to road safety and responsibility, ensuring that compensation is provided to victims of road accidents. Motor vehicle insurances are generally valid for a year and have to be renewed by paying the annual premium before the expiration date. Combined ratio refers to the ratio of losses and expenses compared to the income in a particular segment. Anything above 100% refers to the fact that the insurer is not making underwriting profits in that segment. The motor insurance segment posted incurred claim ratio of 81% in FY 2015-16 as against 77% in FY 2014-15. Incurred claim ratio is net incurred claims to net premium. Simply put, it is claims received for the premium paid towards insurance policies in a year; hence, a low incurred ratio indicates healthy growth prospects and higher profitability in non-life business. Typically, a ratio of less than 100 indicates that insurers are making money from a segment. Currently, combined ratios in the motor insurance segment stand at 140-150 per cent, owing to losses in the third party motor segment and high claims from commercial vehicles. No motor vehicle in India is allowed to ply without having valid motor third party insurance. Provisions regarding third-party claims in the Motor Vehicles (Amendment) Bill, 2016, may provide some relief to policyholders, but general insurance companies are largely unhappy with the proposed rules. To add to insurers’ dismay, the Insurance Regulatory and Development Authority of India revised downwards the premiums for cars and motorcycles with more powerful engines. The hike in premiums for cars over 1,000 cubic centimetres (cc) and motorcycles over 150cc will now be 28 per cent, which was raised by 40 per cent. The Motor Vehicles Amendment Bill has proposed significant changes to issues around vehicles and road safety. A three-part series looks at the impact the new rules will have on insurance claims and taxi aggregators, starting with car recalls. The Motor Vehicles (Amendment) Bill 2016 is set to streamline the vehicle recall process, with the legislation clearly defining the conditions under which the government can order such a recall and penalise the manufacturer concerned. According to current norms of the Motor Vehicles Act, there is no limit neither on the liability of insurers in motor third-party accidents nor is there any time-limit to file them. Due to this, a victim can claim any amount in these cases after any number of years and if the insurer refuses to pay, they can approach the court. Insurance sector estimates suggest that on an average, there is a 15-20 per cent increase in the quantum of compensation awarded by courts every year. In the revised version of the road transport and safety bill there is a proposal that there will be a fixed compensation liability for third party accident victims will be limited. However, this bill does not mention any time limits. Insurers had also sought motor third party policies could have a fixed liability and those in need of higher value covers could be offered. Under the revised draft, the penalty for driving a vehicle without a valid insurance policy has become more stringent with penalties ranging from Rs 10,000-25,000 for different categories of vehicles. It also includes imprisonment for 6 months and impounding of vehicle for six months as a deterrent against driving without valid third party insurance which is mandatory for all motor vehicles. Further, it has clarified that the death of or bodily injury to any person or damage to any property of a third party shall be deemed to have been caused by or to have arisen out of, the use of a vehicle in a public place. This is notwithstanding that the person who is dead or injured or the property which is damaged was not in a public place at the time of the crash, if the act or omission which led to the crash occurred in a public place. Every year, the insurance regulator revises premium rates taking into account the number of claims made and loss ratios for insurers. Third party motor insurance is mandatory in India. However, General Insurance Council data shows that only 60% of vehicles plying in Indian roads are not insured. Motor third party insurance is mandatory for vehicles. The Regulator has asked insurers to ensure that motor third party insurance is made available at their underwriting offices and through all available channels of distribution. Third-party insurance is compulsory for all vehicle-owners as per the Motor Vehicles Act. It covers only your legal liability for the damage caused to a third party – bodily injury, death and damage to third party property – while using the vehicle. Third party cover does not pay for repair of damage to the insured vehicle. Nearly 60% of the vehicles running in India, mostly motorcycles and scooters, are uninsured, according to data compiled by General Insurance Council (GIC), which represents the country’s general insurers. In 2015-16, India had around 190 million registered vehicles, of which only 82.6 million were insured, reported the local media. The figures are quite alarming as Indian roads are infamous for their high accident rate, with 2015 along recording over 500,000 road crashes. Two-wheelers were involved in 29% of the accidents in 2015, cars and jeeps 23%, and buses 8.3%. Last year, the Motor Accident Claims Tribunal asked the central government, the Delhi government and the police to devise a mechanism to ensure that uninsured vehicles do not ply on roads. The tribunal said mere prosecution of owners of offending vehicles for driving them without insurance was “insufficient to alleviate the suffering of victims” and the responsibility was on the state to ensure that uninsured vehicles are not permitted on the road. Road accidents in India claimed over 146,000 lives and injured more than 500,000 people last year. These numbers were the highest in the last five years. In comparison, in 2014, 139,671 people were killed in road accidents that injured 493,474 others. The number of road accidents reported in India reached 501,423 last year. Between 2011 and 2013, road accidents, injuries and deaths registered a declining trend but rose again in 2014. According to a UN Economic and Social Commission for Asia and the Pacific (UNESCAP) study, India’s GDP takes a 3% hit every year due to road accidents, which is equivalent to over US$58 billion. Almost 75% of two-wheeler users do not have insurance. India has over 120 million registered two-wheelers. To reduce non-compliance, insurers have started offering multi-year insurance policies for two-wheelers. While most consumers want to insure their bikes, they are unaware of where to find an insurance agent or insurance branch office to get this done. Traditionally, motor insurance policies have been only for a period of 1 year. The current regulations do not allow multi-year policies for cars. As per a search on insurance portal, at least two companies are currently offering multi-year two-wheeler insurance for up to 3 years. Given the described developments, one can imagine the motor insurer of the future as both an extremely flexible, cost-effective and technically highly qualified provider and as a service provider for the automotive industry that has an excellent command of pricing, product development, administration and claims management and performs these services cost-effectively and in a highly automated way, but perhaps in some cases does not carry underwriting risk any longer. This means that the market developments hold not just risks, but also considerable opportunities for those who are prepared to determinably confront the inevitable and engage constructively. The passage of the Motor Vehicles (Amendment) Bill 2016 in the Lok Sabha was thus a milestone in road-safety movement in the country. The new bill will enable digitalisation of vehicle and license registration system to end bogus licensing, besides accountability for faulty road design and engineering, and help curb road accidents by enforcing heavier fines. The bill proposes a correction home-like institution for people who violate traffic rules repeatedly. Their names will be put in public domain and they will have to undergo a “driver refresher training course” to get their licences back. For the first time, the government has proposed rules for cab aggregators like Ola Cabs, Uber and Meru. Any violation of the licence conditions by these companies will lead to a fine of Rs 25,000 to Rs 1,00,000. The bill also proposes stricter motor recall policy for vehicles which do not meet standards. Insurers will target customer’s right at the beginning of vehicle purchase journey. New car insurance is already integrated with a new car purchase and is included in the “on road” price. She will also demonstrate how the insurance app can be conveniently accessed through the car’s infotainment system. The insurance app will be activated along with the vehicle delivery. Once on boarded, insurers will closely engage with customers to ensure safe driving and to prevent future accidents. Fewer accidents mean a win-win for you, the car owner, as well as the insurers, who look to achieve lower claims, which account for 70-80% of the premium. The insurance app powered by telematics sensors and GPS tracking will give the tips on safe driving based on customers driving patterns. Customer will indeed pay more if he drives rashly. Such technological sophistication will also allow insurers to offer bite-sized “pay-as-you-drive”(PAYD) products or products that cover only specific geographies / drivers/timings with an attractive price. Innovation will also make renewals more convenient. As the renewal date nears, the digital personal assistant will prompt customers and offer them help in narrowing down the options on the basis of their profile. Instead of answering untimely calls from call centres or dealers, they will be able to enter into chat sessions with chat bots of insurers or web aggregators at your convenience. Now customer will be able to get quotes on the basis of a picture of the number plate or registration card send during the chat. Digital lockers will save the hassle of finding the old policy and other details such as car engine number, making the renewal process seamless. Much like how the process of registration for marathons has evolved. The electronics in the car will communicate directly with the insurer, remote monitoring will inform the insurer about the extent of damage, and whether the car is drivable or not. Drones will be on site within minutes to capture digital evidence of the accident and estimate the damage. Without you having to ask for it, the tow truck and replacement car will be sent proactively. Customer will not need to wait for the surveyor since claims will be authorized based on the uploaded pictures of the damages. All this will happen within minutes, and not weeks or even days. But this will be a reality in the near future. The confluence of technology advancements, big data and IoT is set to transform motor insurance for customers as well as for insurers. The customer experience of tomorrow will entail personalized offers, instantaneous paperless transactions, an intuitive digital experience, natural language interaction, and above all, peace of mind. The non-life insurance industry has submitted a proposal to the government to introduce a two-tier motor third-party liability cover for motor vehicle owners. A two-tier system would keep premium on the mandatory cover under check and at the same time would enable customers, who wish to do so, to buy voluntary additional cover from non-life companies. Besides providing for higher penalties for offences, the amendment Bill incorporates a number of provisions that include providing cashless medical treatment for accident victims and higher compensation for hit-and-run victims. The compulsory cover would still cover over 90% of motor claims, based on historical data. Another suggestion from insurers is the settlement of claims without litigation. This would be possible if the police was to submit detailed accident reports, as well as verify and provide all relevant documents to the court and insurers. Today, most motor insurance claims are settled on the basis of awards granted by the Motor Accident Claims Tribunal that usually take three years. Insurers end up making a higher payout because of interest on the claim amount. The insurance industry has pointed out that given the economic development and changes in the social environment of the country, there is a need to ensure that every vehicle on the road is insured and every victim gets compensation speedily without delay. It is estimated that a third of vehicles on Indian roads are breaking the law because they lack mandatory third-party liability insurance. Amendments to the Motor Vehicle Act have come under focus given the rising number of road accidents in the country. A lot of data is now available on driving patterns but this information is not being used to price products. Basically, in motor insurance, companies should get into differential pricing depending on customer usage. Today people are not looking for complexity in products. There are many riders and add-ons in the market but when a customer comes online, she is looking for a basic product. Their focus should be to keep it extremely simple so that not much explanation is needed. The changing face of motor insurance will definitely bring the profitability in the segment with the use of latest rating patterns, underwriting policies and use of advanced technology.